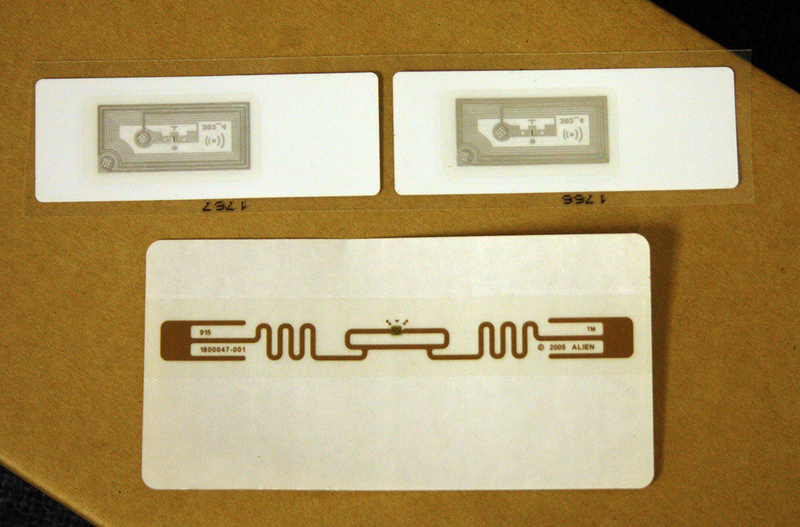 RFID print and apply labelers from FOX IV leaves those “bad” tags behind! FOX IV’s range of fully automated RFID print/encode/apply systems are powered by Zebra, Datamax-O’neil , SATO, Printronix and Avery-Dennison print engines. Now, FOX IV delivers an all-in-one write-verify-print and apply with fully integrated RFID compliance encoding solution. You won’t be left behind! This impressive line-up of RFID printer-applicators includes models for printing and encoding High Frequency (HF) tags as well as models for a range Ultra-High Frequency (UHF) tags such as UHF EPC Gen 2. FOX IV’s RFID systems detect “Out of Spec” tags so issues that could be passed through the supply chain are now prevented. How do we do this? Rather than simply overstrike out-of-spec tags or identify them by print and still having them applied to product, FOX IV’s exclusive Tag Handling System enables out-of-spec tags to remain on the label liner and out of the production process. “Bad” tags are then simply rewound with the label liner and production can continue unaffected. Out-of-spec tags are then accessible and accountable. A new in-spec tag is printed, encoded and verified prior before being applied to the product in queue. 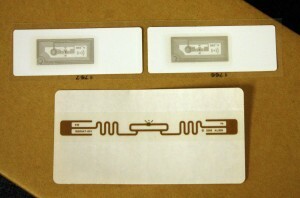 The Tag Handling System is available on most RFID models. 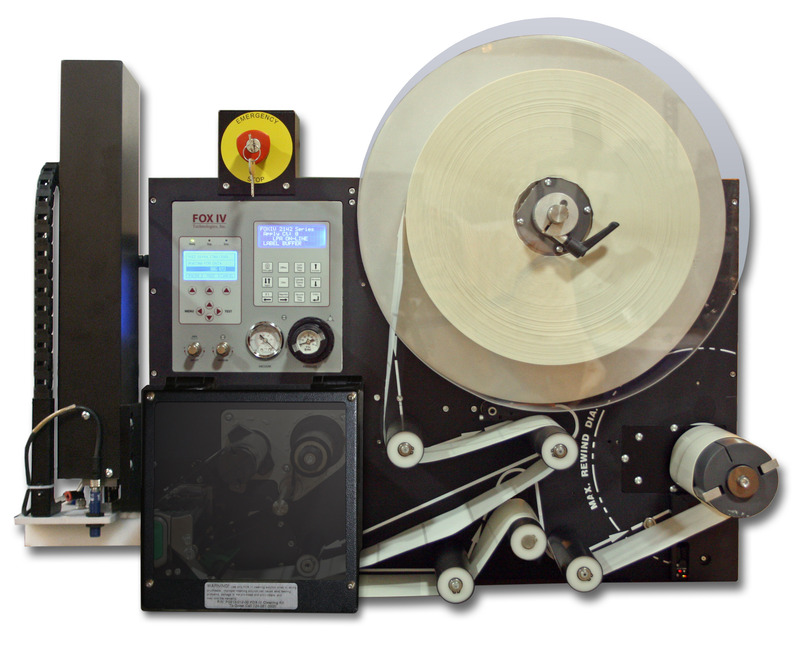 FOX IV is the industry leader in RFID print and apply and is committed to lead through innovation. 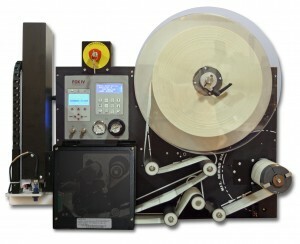 FOX IV developed the world’s first RFID label printer-applicator in 2002 (based on the 13.56 Hz frequency) as well as the world’s first EPC – UHF RFID print and apply in 2005. FOX IV was also cited in “RFID for Dummies,” part of the popular “Dummies” guide series. Today’s RFID print and apply labelers build on that tradition by combining the write-verify-print and apply with upgradable engines and rugged industrial design performing throughout a 24/7 operation. RFID printer-applicators are ideal for item level tracking, inventory management, pallet tracking, WIP, compliance labeling, supply management, product identification and track-and-trace.